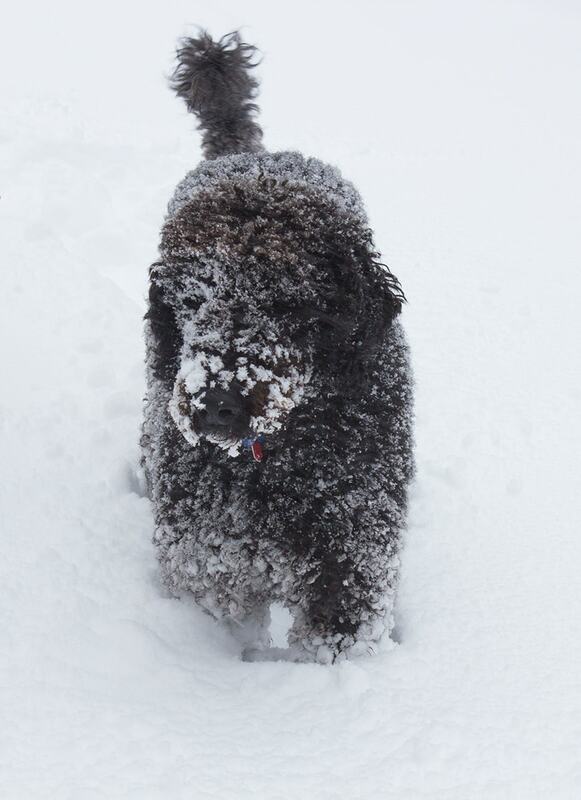 What do you get when you combine 15 inches of snow and one labradoodle with a Velcro coat? 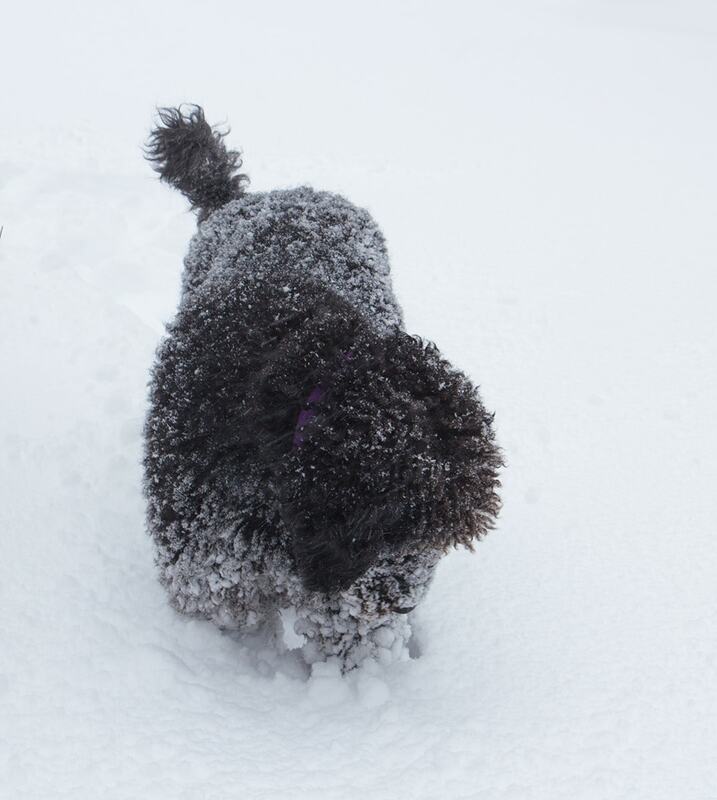 A snowdoodle! 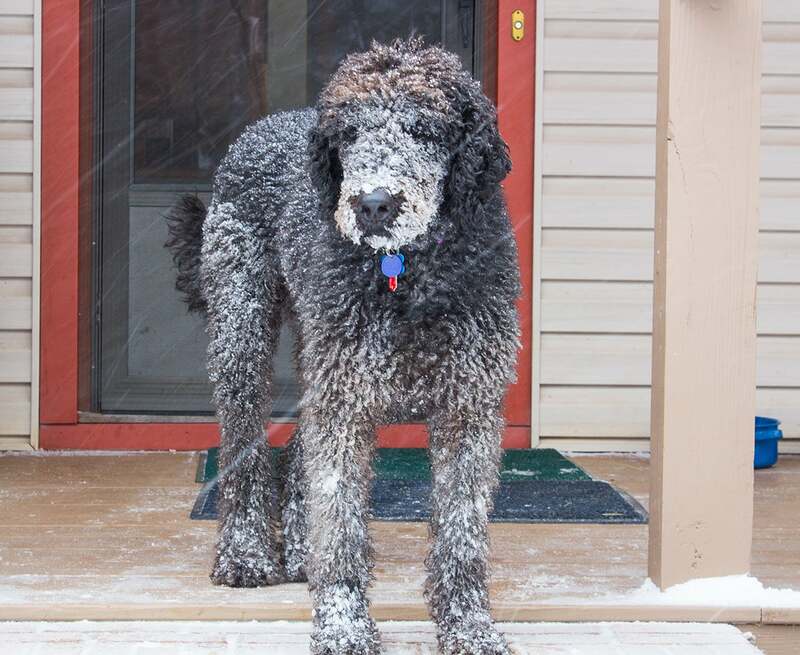 The only solution is to bring him inside and let him melt. Slowly, slowly melt. And then he wants out again. It’s what doodle owners call a work-work situation. Anyone got a mop? And speaking of Shadow, er, um Doodle. 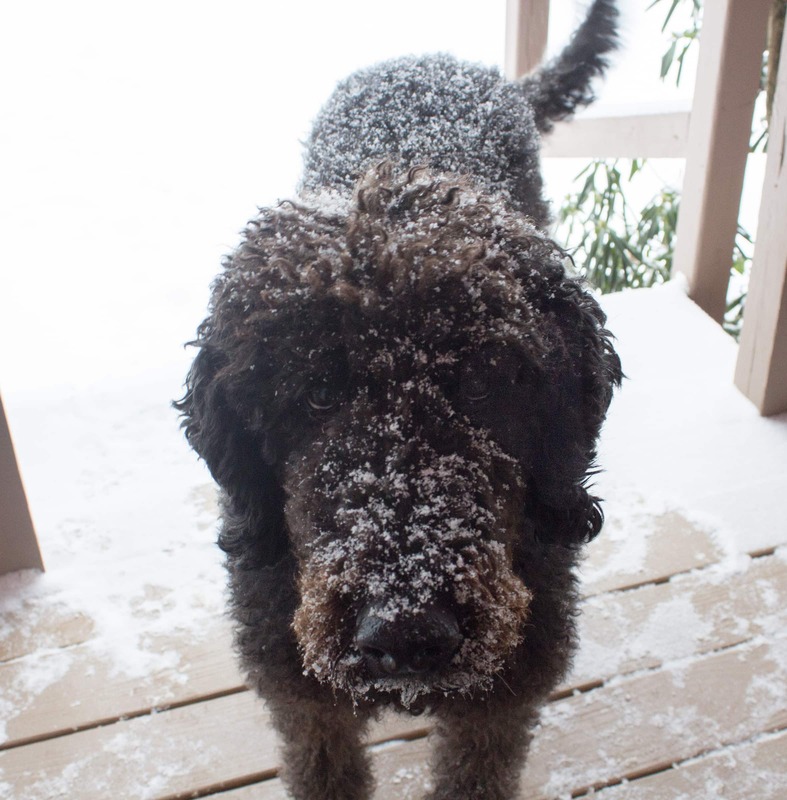 . .
It’s no secret that Shadow has served as the inspiration for Doodle, that cheeky labradoodle with obedience issues. Want to meet Shadow’s not-so-fictional alter-ego? Hurry over to the Goodreads Giveaway of the Bed-Bugged, the first Doodlebugged Mystery. The giveaway ends Feb 26! I am entering to win, but wanted to let you know your link did not work for me. Should be fixed now. At least it is on my machine. And thanks so much for letting me know!